Luxury goods refer to products or services of superior quality that are distinguished from normal goods because of their unique craftsmanship, exclusivity and the reputation associated. They are characterized by their quality, price, scarcity, uniqueness, status, ancestral heritage and personal history. Luxury goods can reach the customers in three ways, through retail, wholesale or online. The wholesale route gives wider market exposure; retail channels give the opportunity for having direct contact with the customers, while the online mode gives flexibility to the customers. Growing affluence and rising consumer consciousness have ensured sustained growth in the global luxury goods market, which is helmed by personal luxury goods at the forefront. Key factors driving this growth are rise in HNWI population, increased internet penetration, rise in urban population, increased number of millionaires and a rise in ageing population. 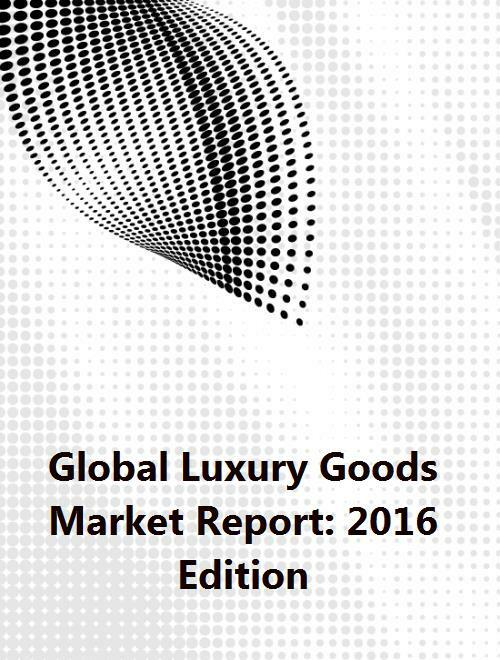 The report provides an overview of the global luxury goods market including the key trends, growth drivers and challenges associated. In recent years, demand for luxury goods has seen a rising trend in almost all the major regions of the world. This can be attributed to onset of the digital age and growing e-commerce coupled with an expanding off-price market that has led to narrowing of income and demand gaps between consumers. High tourist spending in Asia and burgeoning tourism are other trends in the global luxury good market. However, falling commodity prices and the ongoing oil crisis have led to a downward revision of the global GDP, posing a serious challenge for luxury consumption across the globe. China’s economic slowdown, geopolitical threats and financial volatility are other such factors that may affect the global luxury goods market in the years ahead. Competition in this market is rather fragmented, with a number of companies closely competing with each other. However, Louis Vuitton-Moet Hennessey (LVMH) has persistently taken up the top spot as far as sales is concerned. Kering, Richemont, Luxottica and Hermes are closely competing. The report has forecasted future trend in the global luxury goods market by combining SPSS Inc.’s data integration and analysis capabilities. Regression models have been created by employing various significant variables that have an impact on the market. Before deploying the regression model, the relationship between several independent or predictor variables and the dependent variable was analyzed using standard SPSS output, including charts, tables, and tests. Luxury goods are products or services that are exclusive in characteristics, based on the quality, price, scarcity, uniqueness, status, ancestral heritage and personal history. They differ from normal goods due to the unique craftsmanship, exclusivity and the reputation that they hold. Growing affluence and rising consumer consciousness have ensured sustained growth in the global luxury goods market, which is helmed by personal luxury goods at the forefront. Key factors driving this growth are, rise in HNWI population, increased internet penetration, rise in urban population, increased number of millionaires and a rise in ageing population. The report provides an overview of the entire global luxury goods market including the key trends, growth drivers and the challenges associated. In recent years demand for luxury goods has seen a rising trend in almost all the major regions of the world. This can be attributed to onset of the digital age and growing e-commerce coupled with an expanding off-price market that has led to narrowing of income and demand gaps between consumers.